Real Madrid will be looking to extend their winning run in La Liga to three games when they host Huesca at their Estadio Santiago Bernabeu on Matchday 29. Los Blancos proved their worth on Zinedine Zidane’s return to Madrid and they must be high on confidence ahead of Sunday’s football game. Real Madrid’s main goal is to finish the season above their local rivals Atletico Madrid and we are positive that Zinedine Zidane’s charges are going to leave their hearts on the field against Huesca. The newcomers have been producing fine performances in the second half of the season, but seeing that their away record is anything but good, we are tempted to put our money on the Spanish giants. Zinedine Zidane obviously has faith in Isco, who is likely to pose a big threat for the opposition defenders. 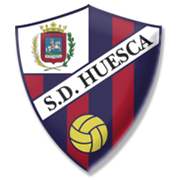 In the first half of the season Real Madrid recorded a hard-fought 1-0 win over Huesca.